Sprint Fit stocks an extensive selection of Endurance Supplements from New Zealand’s top endurance brands. 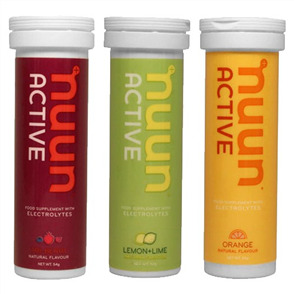 There are many different types of endurance products, electrolyte drinks, energy bars and energy gels. All of these products aid to help you compete and train harder for longer. Weather your into Running, Swimming, Cycling, Triathlon or Multisport Sprint Fit has an endurance supplement to help you through the burn. Buy Endurance Supplements at the best prices from Sprint Fit and receive fast shipping.